Lego is widely known in various parts of the world. Children's games are considered suitable for brain development. With lego, children can make buildings as they please. Lego users are not only children, but also adults. 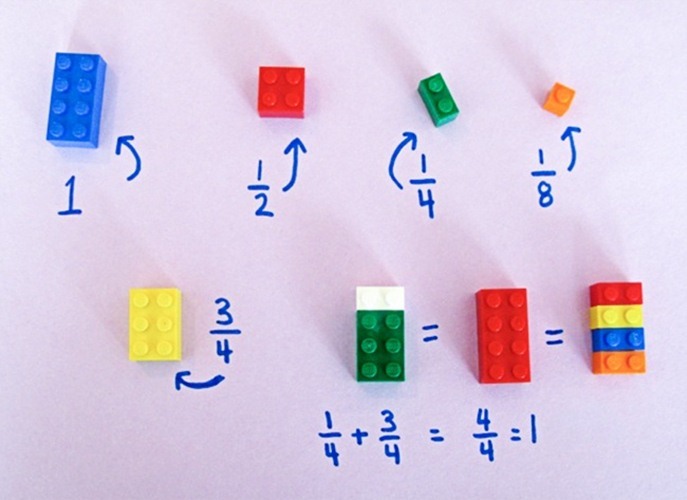 Did you know that Lego turned out to be used to facilitate young children understand the basic mathematical concepts. 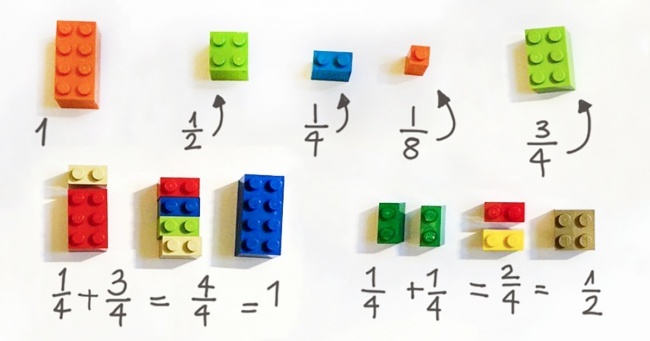 A teacher named Alycia Zimmerman who taught at an elementary school in New York exploited lego into a medium to develop basic math skills of his students. If you have small children, little siblings, or little nephews who need help in understanding math, try Alycia Zimmerman way. 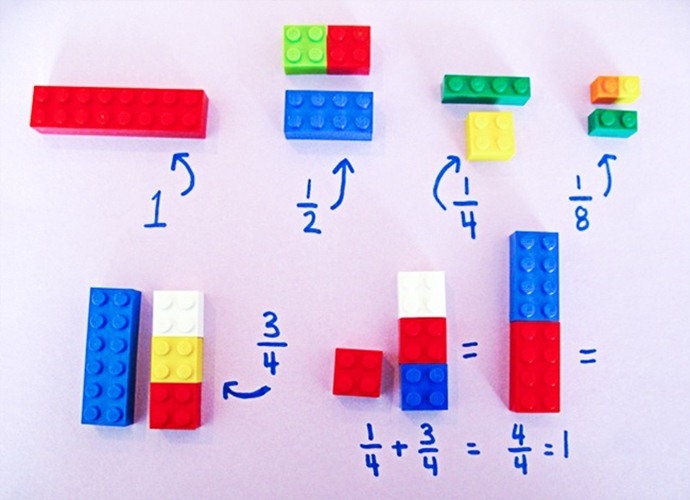 Here's how to use lego for math. 1. Lego can be broken down. 2. From the pieces that exist in the lego could be like this. 3. This is an easy way to understand fractions. 4. 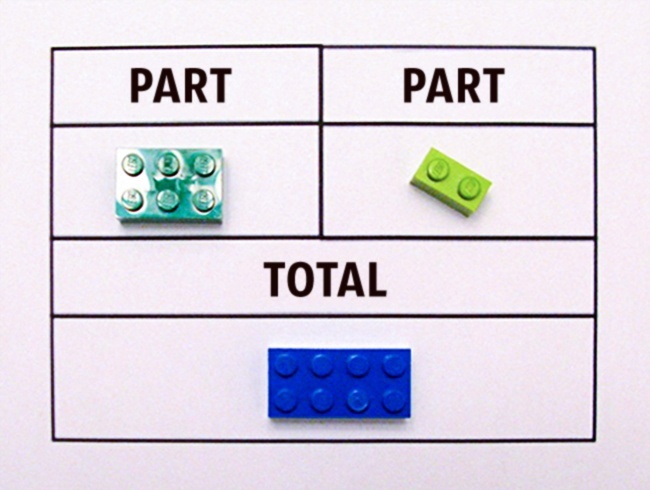 In essence, if 1 represented lego which amounted to 8, then half represented lego which amounted to 4, and so on. 5. 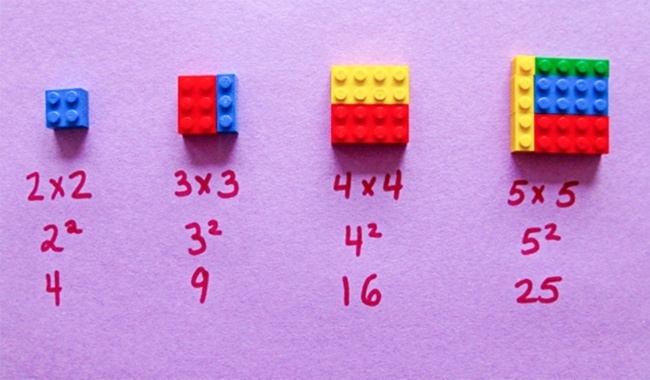 Not just fractions, lego can also be used to work on multiplication problems. Interesting and easy right?